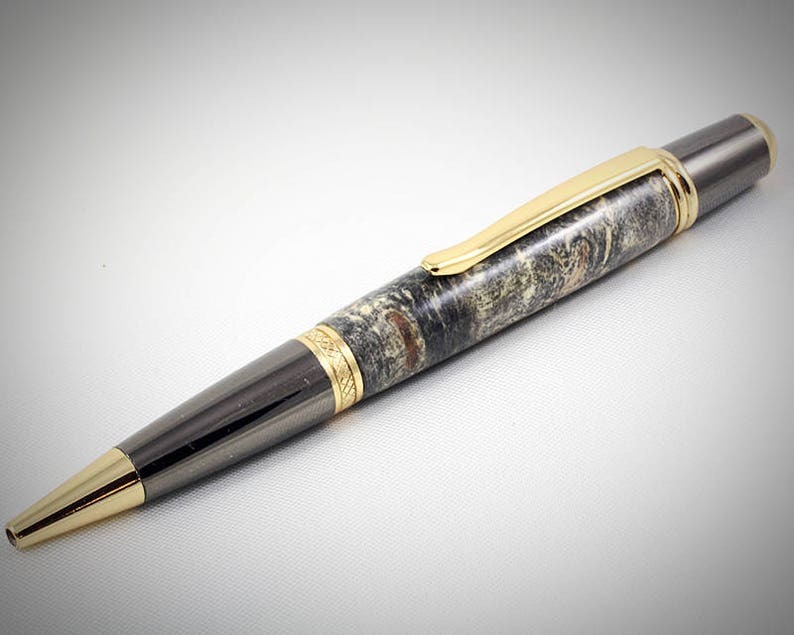 Buckeye Burl Twist Ballpoint Pen with Gunmetal and Gold Components. +Ballpoint Pen, Columbus style. The pen that is pictured is the pen the buyer will receive. +Approximately 5.25" long, .5268" at it's widest point.